When you buy a new car from the car dealership, you want to get a better deal than they have advertised or displayed on the car, but negotiation isn’t a strong suit for every person. There are several ways that you can make sure you get the best deal possible, paying below the dealer sticker price. If you’d like to completely avoid negotiation tactics, you can simply wait until the car you want to purchase goes on sale. 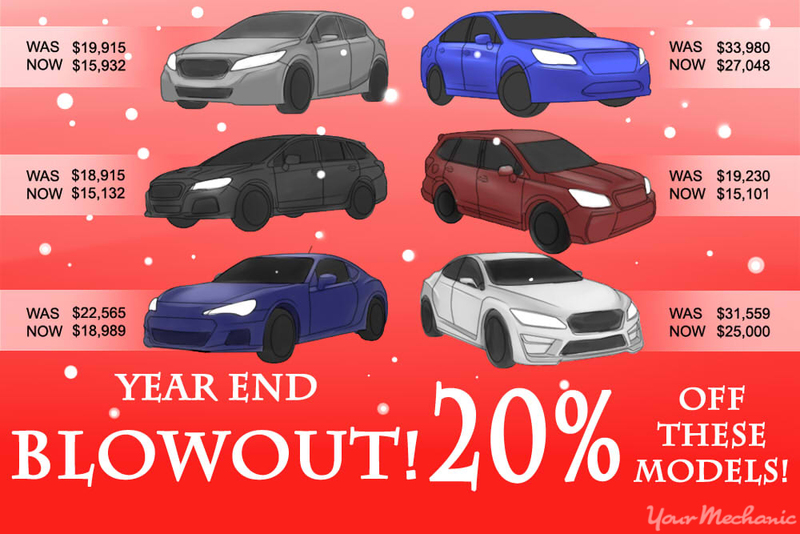 Unfortunately, it’s possible that if you wait until the car dealership is clearing out old stock or an outgoing model year, or if you wait until the dealership puts on a sale, the vehicle you want to buy may not be available in the configuration you want or may be sold out altogether. Step 1: Keep close watch for the new model year rolling out. When the new model year is being released, there is usually an advertising push by the manufacturer in television, radio, online, and print media. There are cash rebates or low interest rates offered for the previous year’s models. Step 2: Attend the car dealership and speak to a salesperson. Inform the salesperson about which model you would like to purchase, indicating the rebates you are aware of. Ask if there are any others. Step 3: Look over and test drive the vehicle you wish to purchase. Make sure the vehicle is equipped as advertised and suits your needs. Step 4: Complete the sales transaction with the salesperson. Read the terms before you sign the bill of sale, ensuring the rebate was applied and no additional fees are added that weren’t previously explained. 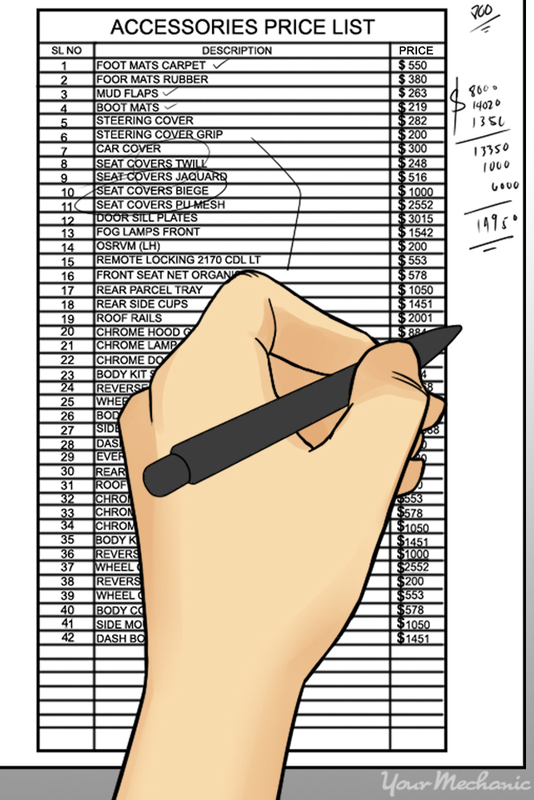 Each fee must be detailed by the salesperson before you sign. 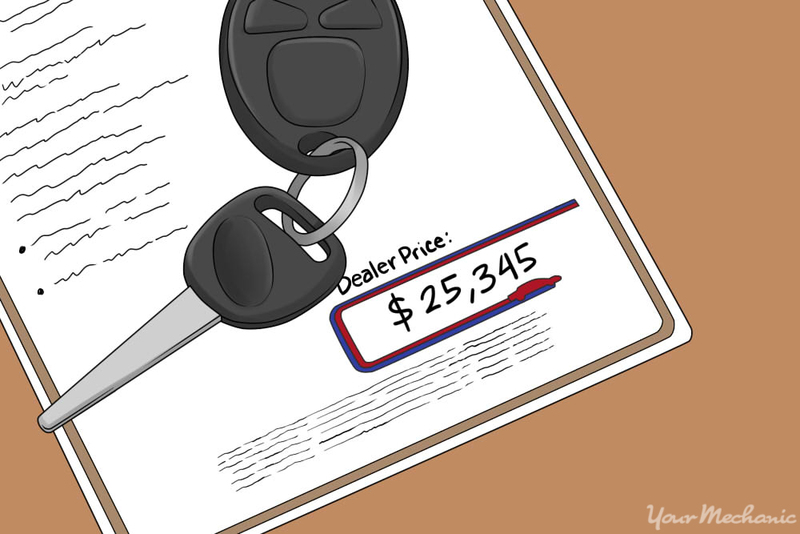 Warning: The rebates on outgoing model years are often used in the “bait-and-switch” technique. An attractive offer is presented in advertising to get you in the door, then the salesperson tries to switch you to the model year for higher profit. Be aware of this technique so you don’t fall for it. It’s common knowledge that dealerships are a business that needs to see profit from each sale. The salesperson’s job is to protect as much of the profit in each sale as possible, both for the company’s benefit and for their own as a commissioned salesperson. You can negotiate hard to get the best deal. Tip: The best negotiators are willing to put themselves in an uncomfortable situation for the best discount and may even be willing to be mean to do so. Evaluate how you want to portray yourself, especially if you plan on returning to the dealership for your maintenance and repairs. Step 1: Be distant from your salesperson. A salesperson tries to break down your defenses by being likeable and charming and by demonstrating more knowledge about the vehicle you want to purchase. Don’t share your personal life details aside from the particulars they need such as contact information. Step 2: Know the vehicle you want to purchase in detail. Research the car you are going to buy, knowing as many features and options as you can. A salesperson will try to switch you to a higher trim package for a higher profit margin. Don’t be wooed by more equipment than you need. Step 3: Know the average selling price of the vehicle you are going to buy. The Kelley Blue Book can help you determine the fair purchase price of the vehicle you are going to buy. On their website, select “Price New/Used Cars,” then fill in the vehicle information and options you want. When you submit the information, you’ll see a chart showing the MSRP, or manufacturer’s suggested retail price, the dealer invoice price, and the fair purchase price as a range below the invoice price. Know what the average fair purchase price is, along with the high and low end. Step 4: Negotiate your purchase price. Offer what you are comfortable with paying, usually starting at the low end of the fair purchase price. Be prepared to walk away from the sale if the salesperson isn’t willing to negotiate much. You’ll see them quickly change their approach and become more willing to talk. Be as firm as you want, knowing that you may appear to be mean or unreasonable to the sales staff. Don’t take a break in negotiations if you feel you are in control. Push the salesperson hard, maintaining a polite demeanor until you agree on a price. Step 5: Negotiate dealer fees. Many dealers pad their sales price with fees such as delivery charges, vehicle preparation fees, and fuel charges. Don’t pay fees that are unreasonable. Dealer fees can range to several hundred dollars and can be of no benefit to you. Refuse to sign a sales contract with unreasonable fees on the deal. If you are comfortable with the purchase price of the vehicle you want to buy but still want a better deal, you can accessorize your new vehicle on the dealer’s dollar by negotiating it into the purchase price. Step 1: Know what accessories you want on your vehicle before you get to the dealership. Research online what accessories are available and what they are worth including installation. Step 2: Negotiate with your salesperson. Tell them you are willing to pay the sticker price if they include the items on your list. Pad your list with more value-added options than you realistically expect to receive and be prepared to remove one or two items for the deal to be viable. Step 3: It's ok to walk away. Be prepared to walk away from a sales deal if the salesperson isn’t willing to negotiate. The dealership’s service and parts departments win on your sale when accessories are included, so this technique can be beneficial to all parties involved. Step 4: Sign your agreement. Once you’ve come to an agreement on your additional accessories, sign a sales agreement.